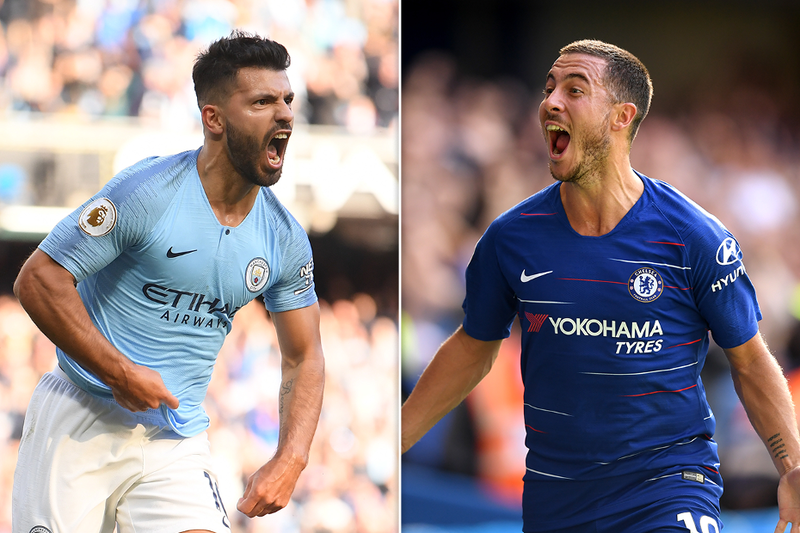 Three Double Gameweeks in Fantasy Premier League have been confirmed with the announcement of the dates for the postponed Premier League matches. Gameweeks 32, 34, and 35 are all now Double Gameweeks giving FPL managers a lot to consider for the season run-in. Their immediate concerns will turn to Double Gameweek 32, for which the deadline is 11:30 GMT on Saturday 30 March. Fixtures postponed due to the FA Cup and EFL Cup final have been rescheduled for 2 and 3 April, which means 10 teams will now have two matches in Gameweek 32. Manchester City will face two of the bottom three teams in Gameweek 32. They travel to Fulham on Saturday 30 March before hosting Cardiff City on Wednesday 3 April. That is expected to spark huge interest in Sergio Aguero (£11.8m) and Raheem Sterling (£11.6m). Aguero produced three goals and 19 points in Man City’s Double Gameweek 25, while Sterling’s average of 7.2 points per match this season is more than any other player. Eden Hazard (£10.9m) will also be heavily backed for Chelsea's back-to-back matches against Cardiff and Brighton & Hove Albion.